Chinese market tastes have become increasingly sophisticated over the past few years, and any first time visitor to Shanghai or Beijing would be surprised by the automobiles that ply their bumpy roads – turn up expecting little Cherys and Geelys and you’ll instead find large saloons from Buick, VW and Audi dominating the streets. 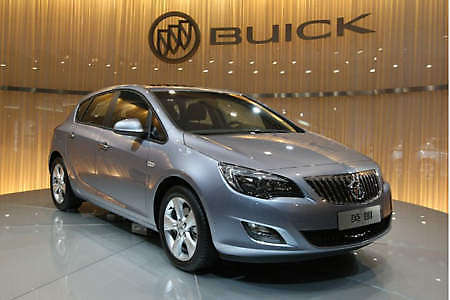 In fact, GM’s Buick marque is one of the top-10 brands there, and is seen by the Chinese as a prestigious status symbol. And that’s the reason why the even the Chevrolet Optra sells well in China, after being rebranded as a Buick Excelle. But as the Opel Insignia based Regal showed, Chinese Buicks now have real substance under the skin, and the new Excelle unveiled at the Guangzhou Motor Show is based on the sixth-gen Opel Astra, itself fresh in the market in Europe. Three petrol engines are available, but of interest is the turbocharged 1.6-litre four-cylinder that powers the range topping model. It comes with 183bhp and 235Nm of torque available from 1,980rpm to 5,400rpm, and there’s a ‘Superboost’ function that raises max torque to 266Nm, promising serious performance that should match VW’s Twincharger powered cars. Power goes to the front wheels via a six-speed automatic. It’s not announced, but we won’t be surprised if the suspension (front MacPherson struts, rear torsion beam with Watt’s linkage) is tuned softer for Chinese preference. The Astra is the largest car in the Golf/Focus class with the longest wheelbase (2614mm) and its cabin features GM’s new design languange with the ‘dual-cockpit’ style, also seen in the Insignia and Chevrolet Cruze. Speaking of the Chevy Cruze, it was meant to be launched back in August, but we haven’t heard any news from Hicom-Chevrolet so far. Next Post: VIDEO: 2011 Audi A8 unveiling in Miami!